f you have used Netflix and experimented/ researched a little, you’ll have noticed that the service you get depends on your geographical region. This means that if you live in Australia, for example, you’ll get Netflix service tailored for Australia. The most comprehensive and in-demand Netflix libraries are Netflix US, Netflix UK, and Netflix Canada. Netflix US is the best and hosts a lot of content that you can’t access outside the US unless you have the best free VPN for Netflix, or even better, a premium one. A VPN overcomes geo-restrictions by changing your online identity and privacy. It does this by encrypting your traffic and sending it to a server of your choice. If you have chosen a US server, you will get a new US public IP address. This will make Netflix think that you are in the US, and it will now offer you the US library. However, Netflix realised this some years ago and announced a VPN ban in January 2016. This ban prevents users from streaming from the service using a VPN. Since the ban was implemented, Netflix and VPN services have been engaging in a cat and mouse game. Unfortunately, most free VPNs have been on the losing side, with their IPs being banned and the VPN rendered useless when it comes to Netflix. Unfortunately, free VPNs and even most paid VPNs can’t afford the dynamism of the Netflix and VPN game. This makes them unreliable for unblocking Netflix. To circumvent the Netflix VPN ban, a VPN needs to be able to refresh its IP addresses now and then, since Netflix keeps on blocking new ones. Only a few paid VPNs can afford this, limiting your options of unblocking Netflix with a free VPN. Most free VPNs usually come with a bandwidth limit to check your usage and preserve resources, as well as to encourage you to go for their paid plan. Most of these limits range between 500 Mb and 2 GB a month. Streaming a 720p episode (leave alone a movie) from Netflix will use about 300 Mb, limiting you to only a few episodes per month. To avoid such a restriction, you’ll have to go for a premium VPN. All free VPNs are either slow, or they limit your internet speeds. This means that even if you unblock Netflix with a free VPN, you won’t be able to stream in HD. Having to watch an episode at 244p or 480p is quite boring, something that will end up taking you back to the best paid Netflix VPNs. Thankfully, there’s a workaround that can help you use a premium VPN at zero cost. This is by utilising a premium VPN’s money-back guarantee policy. There are VPNs that work with Netflix seamlessly, and they let users ask for their money back within a specified period. Most of the top ones give you a period of 30 days. This means that you can ask for your money back on the 30th day, and still get back every penny. However, some VPNs need to be avoided as their clauses aren’t straightforward, with some putting a limit on the bandwidth or functionality of the VPN. We have carefully selected for you VPNs that work with Netflix, and whose refunds are hassle-free. ExpressVPN is one of the biggest names in the industry, and the best VPN for 2018. The VPN is best known for its top of the class speeds, superb performance, and excellent customer service. This is one of the most reliable VPN for streaming Netflix from any region of the world and the VPN has somehow never been banned. ExpressVPN has 2000+ servers in 148 VPN server locations in 94 countries. This is quite an impressive number. The UK, Canada, and the US regions are richly covered to ensure that you can never be bunged with many other users on the same server, something that brings speeds down. The VPN also covers other regions like South America and Africa that are usually ignored by many VPNs. The VPN is registered in the British Virgin Islands and keeps Zero logs, which means that you can also stream from other services without having to worry about your privacy. To get your money back within 30-days, you just need to contact support through their 24/7 live chat support. We managed to get an exclusive 49% of ExpressVPN for our readers. Something no one told you before: As Netflix is constantly blocking VPN IP addresses, you can use the 24/7 live chat to ask which server is working Netflix 😉 . They will recommend you a working server to unblock it. If for some reason you aren’t satisfied with the above options, or you’d like a cheaper VPN that works with Netflix, StrongVPN makes a good alternative. The VPN is popular among people who’d like to overcome geo-restrictions as it works with most streaming services. It is also a favourite among people living or travelling to highly censored countries such as Iran and China. The VPN has optimised its Atlanta servers for streaming Netflix US, and so you need to connect using one of them. StrongVPN gives you unlimited bandwidth and also allows you to torrent safely with high speeds. To get your money back, you can contact StrongVPN agents through their 24/7 live chat support. Their money-back guarantee period is also 30 days. Just a few years ago, NordVPN was a struggling VPN. They are now one of the biggest and strongest VPNs in the market. This is thanks to an exponential growth that has also seen the VPN more than double its servers in 2018 alone. It now boasts the biggest server network of any VPN, with 5000+ servers in 62 countries. The US alone has a whopping 1967 servers at the time of this writing. The VPN works seamlessly with Netflix, and the huge server network ensures that you can always get very high and stable speeds. 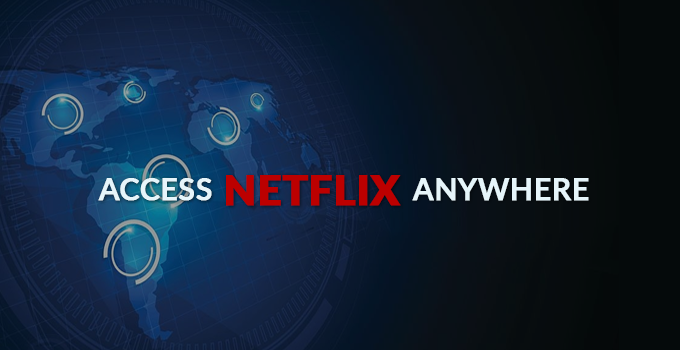 You can therefore stream Netflix US or UK with NordVPN from anywhere, anytime. NordVPN is registered in Panama, a country that promotes privacy. This helps the VPN keep Zero logs, and therefore NordVPN is reliable for privacy. To get your money back, just contact support through their 24/7 live chat support. Most free VPN’s don’t work with Netflix. The above VPNs can however still be termed as the best free VPNs for Netflix, thanks to the 30-day money-back guarantee. Our highlight of the three is ExpressVPN, which always works with Netflix and offers the best speeds. Best of all, you won’t even have to explain the reason for cancellation!